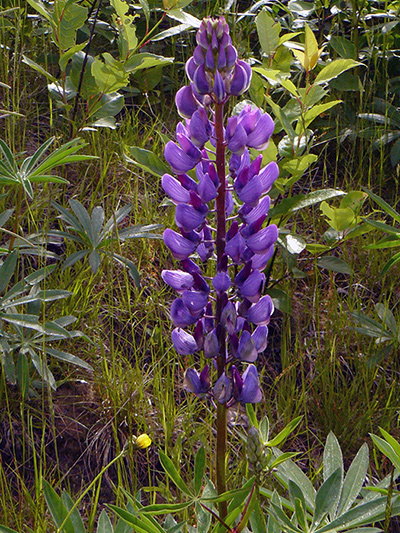 A native of western America, polyphylle Lupin is the only one of the genus Lupinus (lupine) in Quebec. This introduced is increasingly present along the roads and highways of Quebec, in the Hautes-Laurentides and Abitibi region among others. Usually blue or purple one can see pink, white and even ivory flowers.